The East bay open water swim group is comprised of swimmers from all over the bay area who enjoy swimming in the San Francisco bay. This informal group Point Richmond. Swimmers swim year round with and without wetsuits, and is open to anyone who loves to swim! Visit this group at http://groups.google.com/group/east-bay-open-water-swim. In 2010 Richmond Swims held its 1st annual Keller Cove open water swim as a fundraiser for the Richmond Sailfish Swim team. Our first swim had 68 swimmers and in 2015 and 2016 we had around 300 swimmers participate. 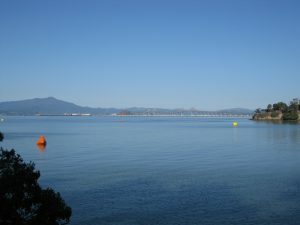 This unique swim offers swimmers the chance to swim 1/2 mile, 1 mile, and 2 mile races in the beautiful San Francisco bay. Click here for more information on the Keller Cove Swim.